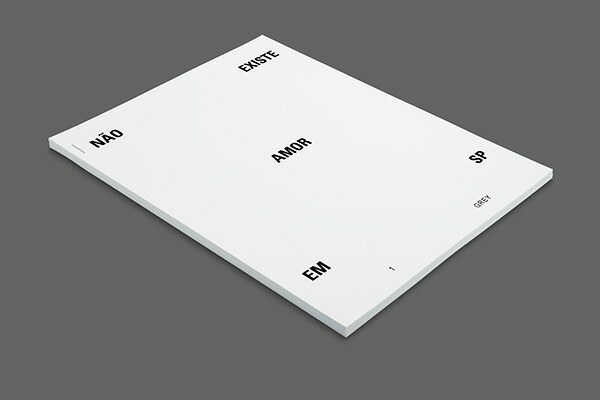 Penned by Criolo, "Não Existe Amor em SP" has melancholic chords and verses that confirm the sadness of being São Paulo. 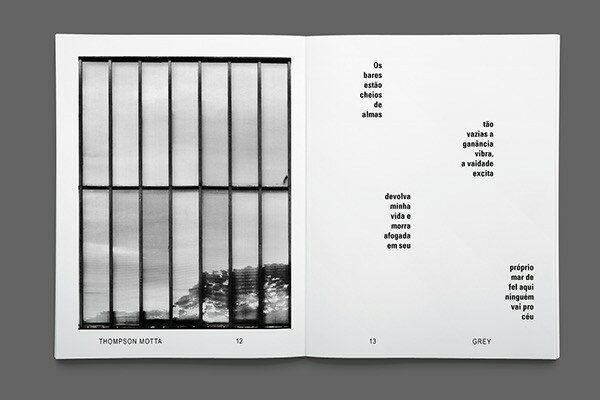 Surrounded by walls and buildings, citizens travel through chaotic streets feeling grey, numb and hopeless. 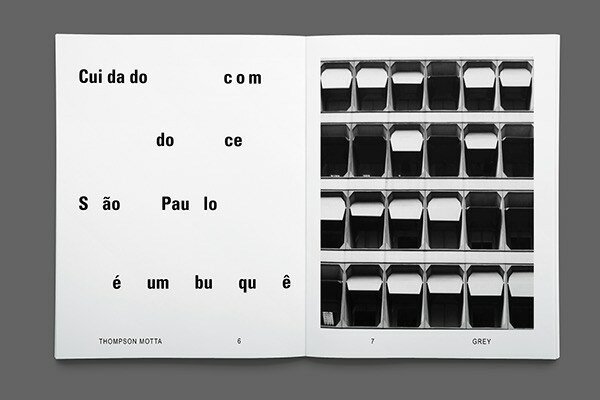 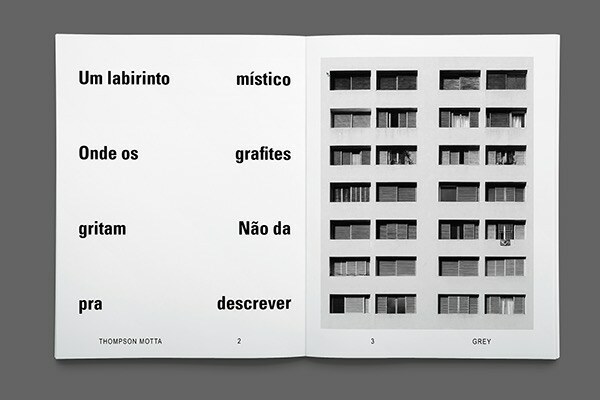 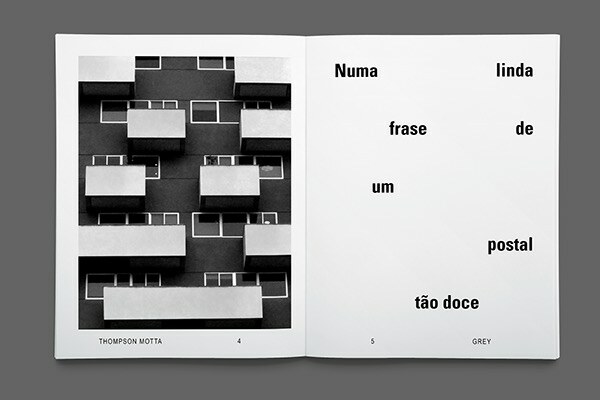 Using a variety buildings in the city, these spreads relate the lyrics of the song to the architectural jungle of São Paulo. 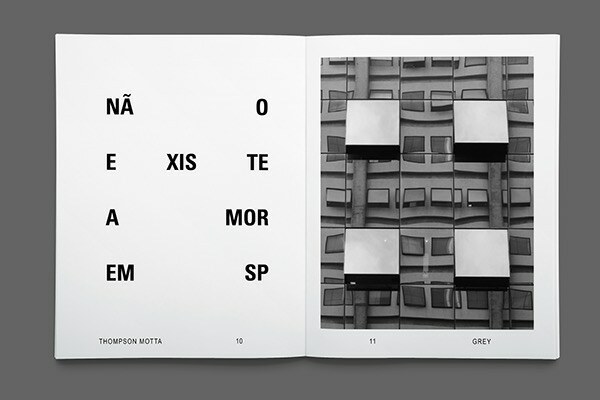 These spreads are part of a larger publication called Spectrum. 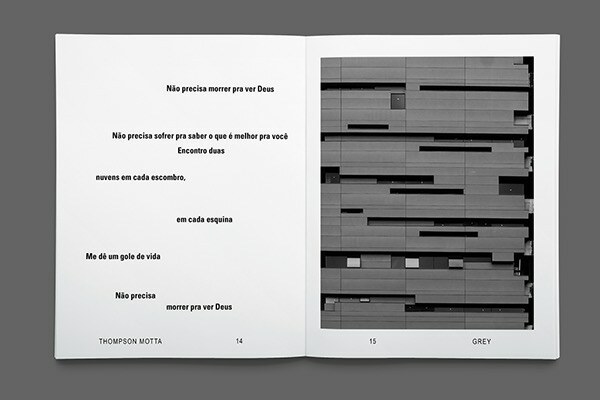 Each person was assigned a color to represent metaphorically through their spreads. 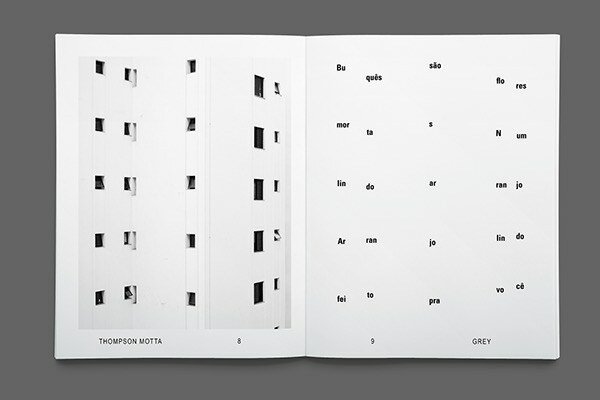 Spectrum is class student project for Spring 2015 Advanced Typography taught by Jeanette Abbnik.